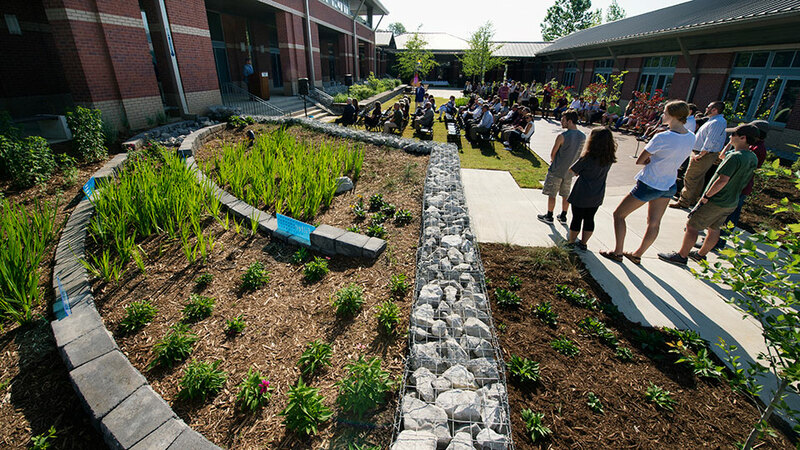 As part of the landscape architecture department's courtyard, we are developing a 1,500 sq. ft. partial infiltration basin or rain garden. The garden is funded by a grant through the Environmental Protection Agency. MSU was able to apply for the grant because our 2013 team won 2nd place in the EPA Rainworks Challenge. While not the same site designed by the Rainworks Challenge team, the garden is being designed and implemented by landscape architecture students. Additionally, civil engineering and graphic design students are participating in the development of the project through their own course work. 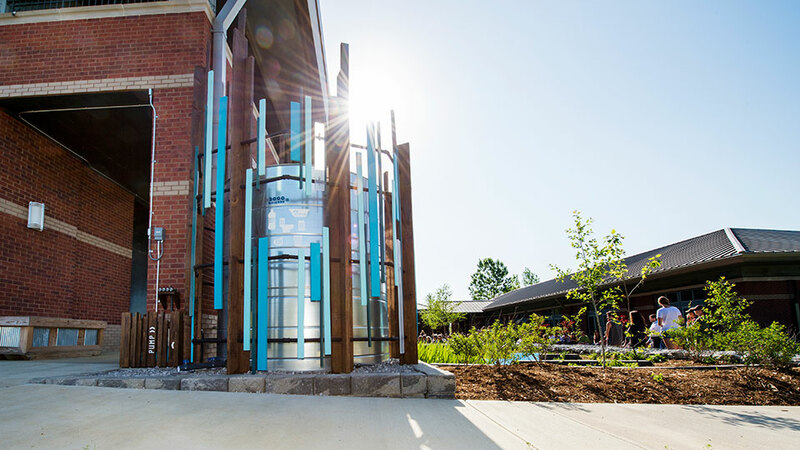 Along with other technologies in the courtyard, the garden will demonstrate stormwater management in an urban setting with green infrastructure technologies. 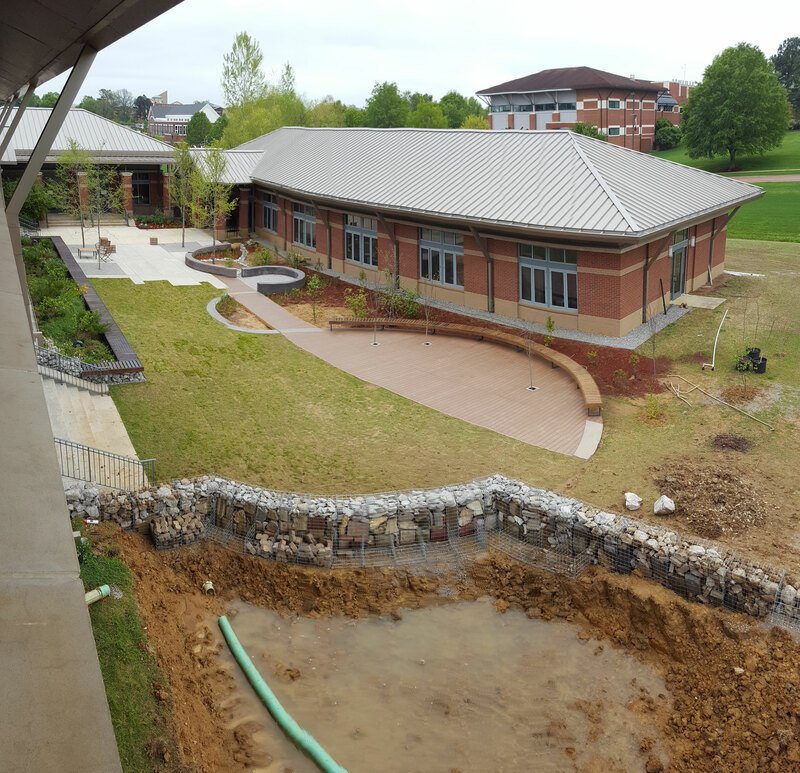 Roof runoff will be directed into the garden from our two-story studio building. Part of the water will be directed to a 2000 gallon cistern. When full, the water will overflow into the garden. 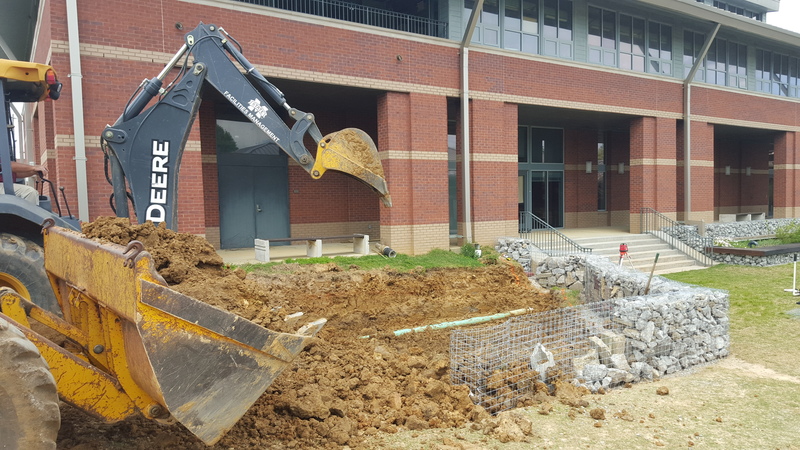 Because of our heavy clay soils, the raingarden will be underdrained to ensure it doesn't have water longer than 24-hours. The layers of the garden will consist of 10" of washed gravel, 4" of pea gravel, 24" of bioretention soil mix and 2" of mulch. The top of the basin will create a 12" deep bowl to allow water to pond in bigger events. Native species that can endure short periods of inundation and long periods of drought will be planted in the garden after completion.